With the successful landing of the space shuttle EndeavourSunday night, the International Space Station is on the verge of completionafter $100 billion and 11 years of construction. NASA plans just four moremissions to wrap up its few remaining station deliveries. For Endeavour, in particular, Sunday's shuttlelanding marked the beginning of the end. The spacecraft is theyoungest of NASA's three aging space shuttles and engineers quickly beganworking to prepare it to launch one final spaceflight in July. "We'll go into that with our heads held high,"shuttle launch director Mike Leinbach said after the landing. "It's alittle bit [of a] sad note, but a great ending to a great mission and we'relooking forward to the next one." 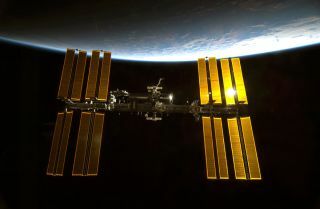 Endeavour's 14-day mission delivered a seven-window observationdeck and a new room to the International Space Station. With the new additions — NASA's final major pieces forthe spacestation — the orbiting laboratory is 98 percent complete. NASA plans to retire its three space shuttles ?Discovery, Atlantis and Endeavour ? by the end of September. After that,American astronauts will have to hitch rides to the space station on RussianSoyuz spacecraft. Earlier this month, President Barack Obama canceled NASA'sConstellation program responsible for building new spaceships and rockets toreplace the shuttle fleet. Instead of building its own spaceships, NASA is bankingon the rise of commercialspacecraft capable of ferrying astronauts to orbit so it can focus onloftier goals such as the moon, asteroids or Mars. The space agency already hascontracts in place with companies to provide unmanned launches to deliver cargoto the space station. Leinbach said there's a "whole series of lasts"coming, and he feels for the engineers responsible for priming each of thosefinal steps. Endeavour's STS-130 mission was NASA's 130th shuttlemission since the fleet began flying in 1981, and the 24th flight forEndeavour. When the firststation crew of three astronauts took up residence in November2000, the outpost was made up of just three modules. Now, its external trusssegments span the length of a football field and the station can easily be seenfrom Earth by the unaided eye. The station can now support permanent crews of sixastronauts. It has three airlocks and 12 rooms, counting the new bay windowcompartment delivered by Endeavour. It has enough living space to rival thecabin of a Boeing 747 jumbo jet. The dome-shaped observation deck gives astronautsstunning panoramic viewsof the Earth from space. It also doubles as a lookoutduring robotic arm operations. The new room, called Tranquility, will serve asa hub for life support systems and exercise equipment. Both compartments were built for NASA by the EuropeanSpace Agency. Together, they cost nearly $409 million and boosted the spacestation's mass to nearly 800,000 pounds (362,873 kg). The next four shuttle missions include several spareparts delivery flights, as well as the installation of a small Russian moduleand a $1 billion experiment called the Alpha Magnetic Spectrometer. Next up on the launch pad will be the space shuttleDiscovery, the oldest one after the Columbia and Challenger orbiters, both ofwhich were lost in shuttletragedies. Discovery is due to launch on April 5 to deliver newscience experiment gear and spare parts to the space station. Mike Moses, NASA's shuttle integration manager, saidEndeavour's successful mission is a great start to the space shuttle era'sfinal year. The shuttle launched one day late due to cloudy weather. "We're off to a great running start with the yearhere," Moses said. Cold weather in Florida has delayed Discovery's flightfrom its original March 18 launch target to April. But barring an unexpectedsetback or major payload delivery delay, NASA should be able fly all fourremaining missions by the end of September as planned, Moses said. But there is still a sense of loss for the spaceshuttle fleet. By the end of 2010, the world's onlyreusable space plane currently capable of reaching space will be grounded forgood. "The people fall in love with the machines, and it'sgoing to be hard to let them go," Leinbach said. "We're professionalabout it, so we're going to prepare and process that last mission, and we'llmove on." That love was evident among Endeavour's crew after theshuttle landed late Sunday night. Shuttle commander George Zamka beamed withpride for his spaceship. "Endeavour, my goodness, what a machine," hesaid from the runway. "She was perfect throughout the flight and webrought her back safe and sound thanks to Mission Control." Mission specialist Kathryn "Kay" Hire, whostarted out at NASA as a shuttle engineer before joining the astronaut ranks,said she and her crewmates tried to be gentle with the spacecraft. "I hope we didn't beat it up too much, because weknow that you're going to be turning it around one more time to fly it again,"she said.